The very heart of the Reflex’s design, the flame visuals have been meticulously crafted to mimic a real wood burning fire. 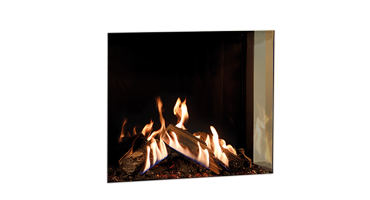 Featuring three carefully positioned dual burners, flames dance and flow amongst the logs and can be set to either front only or front and rear flames, with either setting independently adjustable and infinitely variable. Whether you’re in the mood for a lazy fire or a dramatic blaze, you choose the atmosphere you desire. 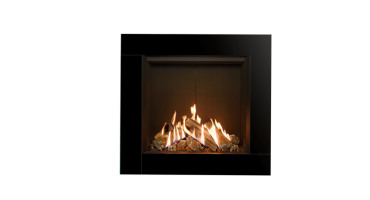 Ensuring a crystal-clear flame view, the Reflex features non-reflective glass for a flawless, open-fire aesthetic.